Over the past weekend we had our annual cookie day. 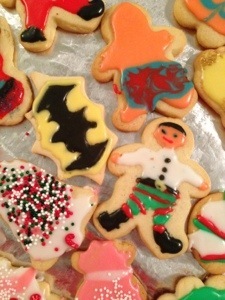 The whole extended family gets together and we bake & frost what seems like an endless amount of cut outs. There is also a fair amount of consumption of fermented grape juice and cookie judging that goes on. 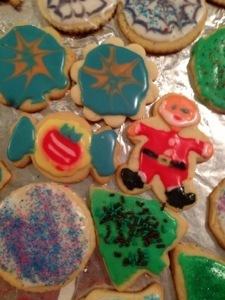 You can imagine that by the time the last batch of cookies roll on to the table to be frosted, the creativity has waned. 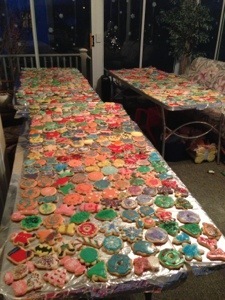 This year we made 821 cookies. Perhaps I will start planning my 2013 challenges now?